Based on the concept of "top service and bottom prices", we ensure that we can help you to win the market quickly. we can make customized post-process as your design and samples, we have color spray, silk-screen printing, coating, frosting rhinestone,diamond and color decal etc. 3. How long is the production lead time9 Normally, the delivery time is about 30-40days after receiving deposit of L/C at sight. 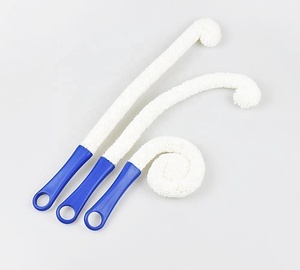 Related Products Q1.Can I get a free sample to test the quality9 Definitely you can. Q2.When can I get the samples9 Anytime, we will send out the sample within three day. If you want to put your own logo on the sample, we will send out within one week . It ensure the product competent in goods quality as well 3. Professional team for foreign trade business, making the cooperation more efficient and rest assured. Can I get free samples9 Re: yes, we can send you free samples if there is ready stock. Can I buy small qty and how will it be shipped9 Re: yes, we can accept small qty order for those in stock, we can send via DHL, TNT, FedEx and sea shipping as well. Our team members have been married to the craft of glassware production having valuable experience of 20 years each excelling in glass design, production and shipment. Based on the joint experience of our team members we are not limited to supply a particular type of glass since we have thorough experience in the other type of glass. One area which we thoroughly excel is our line of communications as we are always in sync with our customers timing and their requirements. Our technic such as hand painted, decal printing, frosted decal and color spraying, pattern carving, etc. Main product have glass cup, Wine glasses, Fish tank, Vases, Candle holder, Ashtry and so on . We aim to be your one stop glass ware supplier . Classical Handmade Glass Wine Decanter This 60 OZ. Furthermore,we have most professional team to design and produce for your requirements. Also we can recommend and customized the most suit products for your requirement. They are welcomed by European and American markets, the design and quality is accepted our customers. 02 About the price9 We can design and make different level products refer to your price. We can provide you existing sample for free, but the freight is on your account. 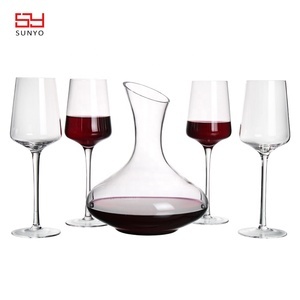 Shanxi Qi County Huilong Glassware Co., Ltd.
Alibaba.com offers 10,312 glass wine decanter products. About 56% of these are glass, 16% are bar accessories, and 1% are bar tools. 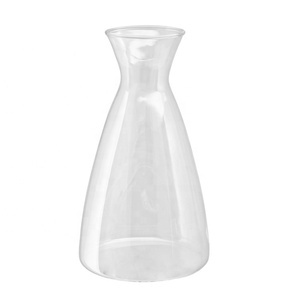 A wide variety of glass wine decanter options are available to you, such as free samples, paid samples. There are 10,348 glass wine decanter suppliers, mainly located in Asia. 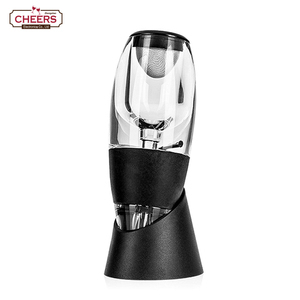 The top supplying countries are China (Mainland), India, and Czech Republic, which supply 97%, 1%, and 1% of glass wine decanter respectively. 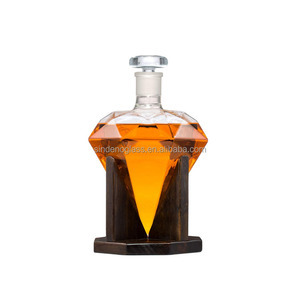 Glass wine decanter products are most popular in North America, Western Europe, and South America. You can ensure product safety by selecting from certified suppliers, including 1,132 with ISO9001, 994 with Other, and 526 with BSCI certification.